The United States is home to two new world champions! 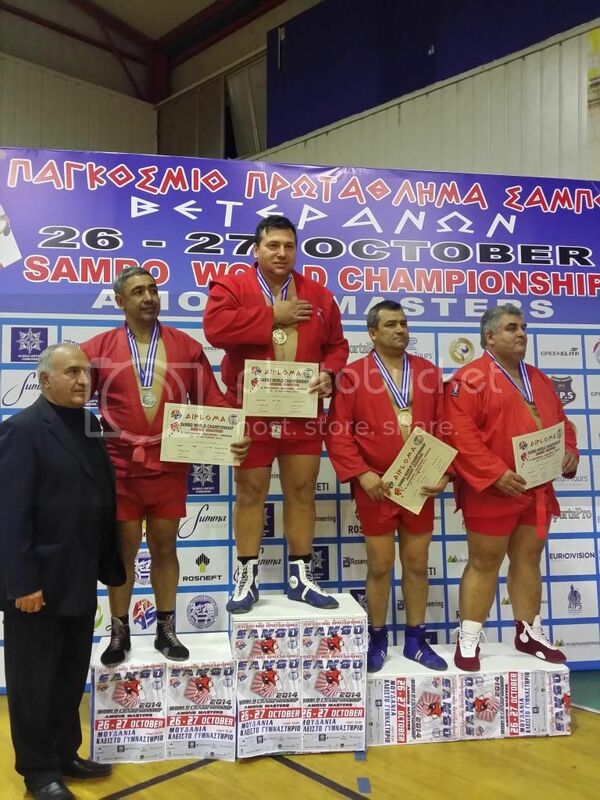 On October 25th-28th, USA Sambo, Inc., sent a team of three athletes to the Veterans’ World Cup in Chalkdiki, Greece, a small coastal town outside of Thessaloniki. The roster included Eduard Kalika of Chicago at 100+kg M4, Sandy North of Miami at 68kg M6, and Richard Crenwelge of Austin at 74kg M1, who also acted as Head of Delegation. Dayn De Rose was also in attendance as Head Coach. All of our athletes fought well, and represented the United States well. The level of sportsmanship and camaraderie at these veterans tournaments is refreshing and unrivaled. We wish to extend a sincere thank you to FIAS, the Greek delegation, and all of the athletes, on behalf of USA Sambo, Inc.